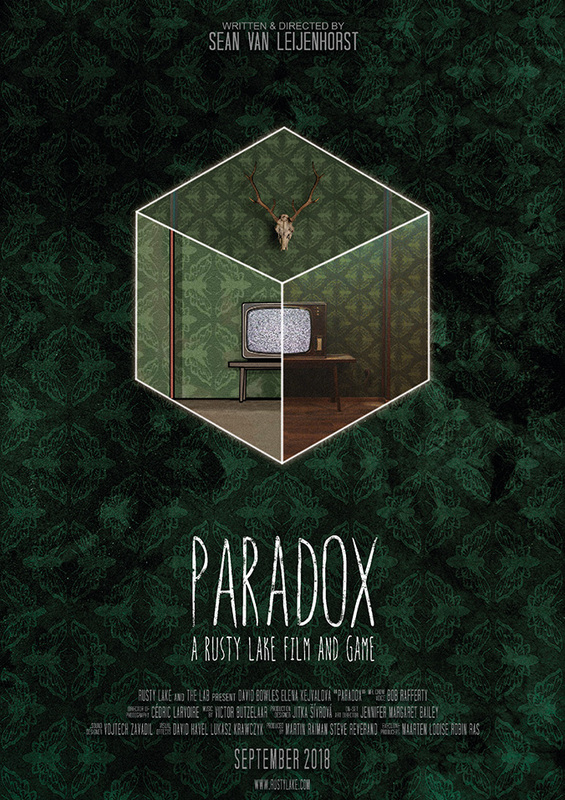 Rusty Lake: Paradox is a new media project fusing the video game world with the power of short film narratives. It is co-produced by the LAB and the game development studio Rusty Lake. Written & directed by the Sean Van Leijenhorst (Don’t Turn Me Off! ), this short narrative will be intertwined with a game version of the said film. Both versions are designed to provide distinct clues to solve the thrilling mysteries around the Rusty Lake Mental Health and Fishing facility. With a following of over 100.000 players this next plot in the acclaimed Rusty Lake brand is aimed at raising most of the budget from pre-sales and a Kickstarter campaign. Thanks to our fully integrated pipeline from writing, to production and complete post-production we can offer a product that works within the budgetary limits new media creates. None the less the result is nowhere less than stunning, and it is sure to be a big hit with the community. Just after announcement on Facebook the project garnered thousands of likes and comments within the first hours, and the Kickstarter campaign reached its goal in less than 9 hours after its launch.